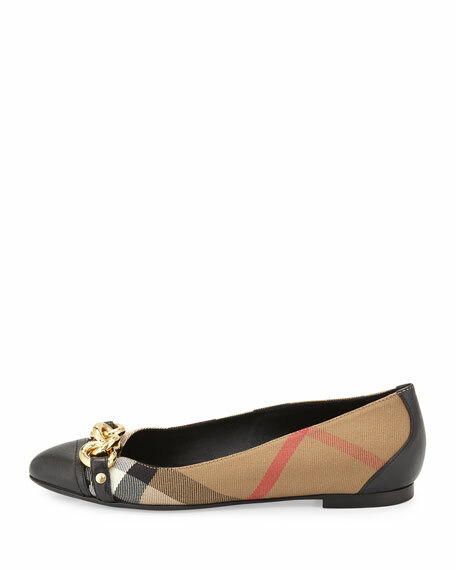 Burberry check canvas ballerina flat with leather trim. 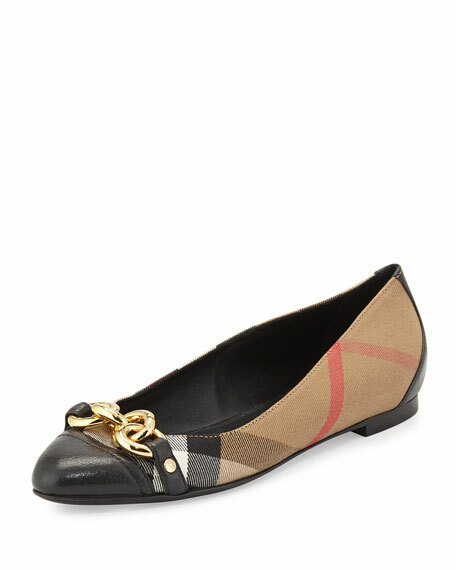 Round cap toe with golden buckle. "Shipleyson" is made in Italy. 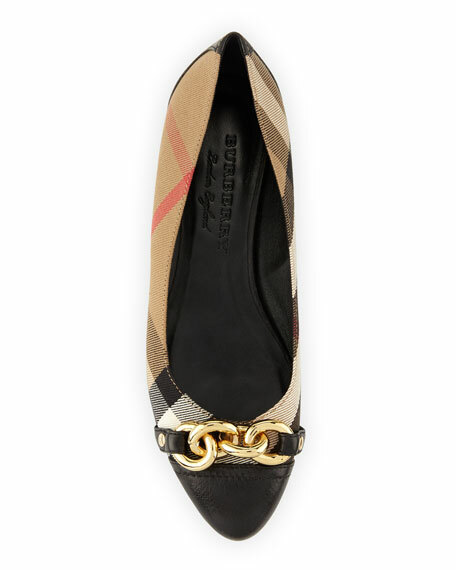 For in-store inquiries, use sku #1771009.